LAGOS – The Nigerian National Petroleum Corporation (NNPC),yesterday says it has fast-tracked contracting cycle for Upstream operations from 24 months to 9 months with a strong promise to further reduce the process to less than six months in the months ahead. 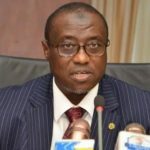 The Group Managing of the NNPC, Dr. Maikanti Baru, who disclosed this in a presentation at the 12th Annual International Conference of the Nigerian Association for Energy Economics/ International Association for Energy Economics (NAEE/IAEE), said the process would allow for free flow of investments into the industry with far reaching effect across all tiers of its operation. The NNPC’s boss noted that within the last three and half years the corporation had adopted a cocktail of practical approaches at achieving sustainable cost reduction in everyday business anchored on penetrating reforms across the entire value chain of its operations. In his remarks, the President of the Nigerian Association for Energy Economics, Prof. Wumi Iledare, commended NNPC for its remarkable support in the past 12 years and appealed that the relationship be sustained to enable the professional body contribute meaningfully in generating solutions that the industry needs to grow the nation’s economy. The post NNPC Shortens Contracting Cycle To Nine Months appeared first on Independent Newspapers Nigeria.